It's 1970 and John Gordon (Ward Horton) is a medical student living in Santa Monica with his pregnant wife Mia (Annabelle Wallis). Mia collects dolls, and as a gift, John has found a rare vintage doll for her that she adds to her collection. That night, they are awoken by a scream from their neighbor's house. John goes to investigate and finds his neighbors murdered. While he is searching the neighbor's house, the killers have snuck into their home, and they attack and stab his wife but he is able to fight them off long enough for the police to arrive and gun down one assailant. The other attacker, Annabelle Higgins, slits her own throat while holding Mia's vintage doll as blood drips into the doll's eye. It turns out, Annabelle was their neighbor's estranged daughter and killed them in an attempt to summon a demon. After that night, strange things start to happen and Mia feels like she is in danger. After a particularly life threatening scare, Mia gives birth but refuses to return to the house with their newborn baby. They move to an apartment in Pasadena, but they still aren't safe as the evil has followed them there and these incidents come with greater force and frequency. Well, that was just a major bummer. 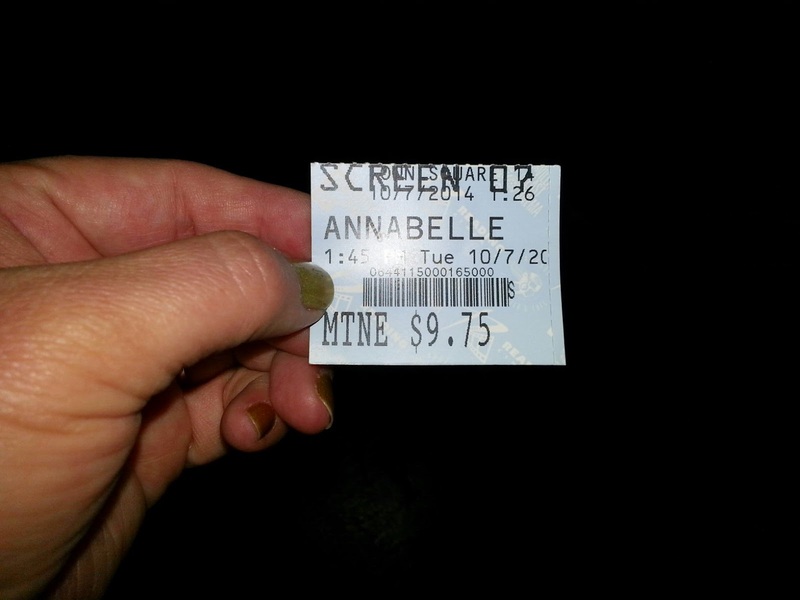 After loving "The Conjuring" from last year, we had high expectations for "Annabelle," especially given the creeptastic trailers. I sort of thought one year in between the two movies felt a little rushed, but we were happy to see it anyways. Unfortunately, we ended up disappointed. Right off the bat, we could tell this movie wasn't going to be very good because of the rather horrible acting. Ward Horton is a terrible actor and Annabelle Wallis isn't much better. Horton looks like he is going to burst into laughter in each and every scene, and Wallis fluctuates between overly dramatic and whisper-talking, when she's not busy screaming out unintelligible ramblings. Though their acting was meant to be serious, I actually ended up laughing quite a bit because it was pretty bad. The supporting cast is the acting's saving grace. Between Tony Amendola and Alfre Woodard, these two put on good performances despite not having much to work with in the way of writing and being opposite such dismal lead actors. The Annabelle doll itself is quite creepy looking but really doesn't have an outrageously huge role in the film other than some tight shots of it's weird, ugly, "why the f**k would you give this to a baby and/or collect dolls this hideous?" face. It serves as the catalyst for all the evil-doings in the movie, but the doll itself isn't possessed, it is just moved around by the devil. Other than that, the movie as a whole reminds us of those internet videos you are usually forced by a friend to watch; the video beings with a calm scene, and in the middle of it, a scary face flashes on the screen with a sound loud enough to make your eardrums bleed. That is basically what "Annabelle" does over and over again, and it's not only tiresome after the first few times, but it makes you want for more than just these simple scares. Technically speaking, this film is a mixed bag. While some people will enjoy these basic jump scares, others might find this tired and overrated. The film also uses a lot of foreshadowing. The camera will focus in tight on an object or action over and over again as if something is going to happen but never does...well, until it actually does, just much later in the movie. A perfect example of this is when Mia is sewing and the camera tightens in on a shot of her hands as her fingers tread dangerously close to the needle of the sewing machine. The only problem is, when it finally does happen, it's underwhelming to say the least. There is some cool demon makeup that briefly appears here and there, though there moments are in the last 10-15 minutes of the film and come way past the point when you are bored and ready for the disappointment to end. 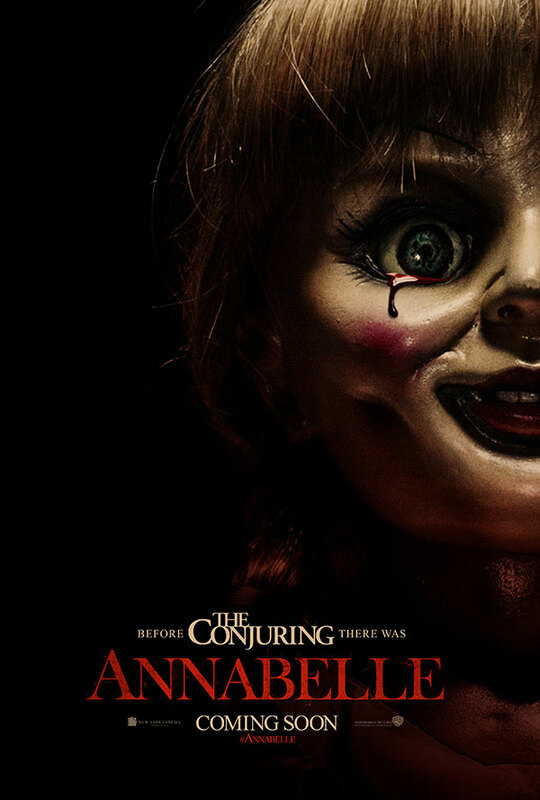 What we are left with is a poor, unworthy prequel to "The Conjuring" and a lot of wasted potential for that fugly, demonic doll. We say save your money if you are horror fans because you will ultimately be disappointed just like us. Felt the same way! Very poorly acted and not scary at all. Keep up the good work!